Sorry for posting loads of MUA reviews lately, but I have recently purchased quite a lot of products from them and I absolutely love all of their products. Today I will be talking about their Waterproof Liquid Eyeliner in Black. First of all, it is important to note that this eyeliner costs only £1!!! Truth be told, I was a bit wary of buying it when I saw the price, but thank God I did because it has quickly become my daily choice of eyeliner (and one of my faves too). In fact, I have already bought a back up of this. It comes in a standard plastic eyeliner, and it has a sturdy, sponge-y, pointy but bendable applicator (my fave kind of applicator because you can draw precise lines). 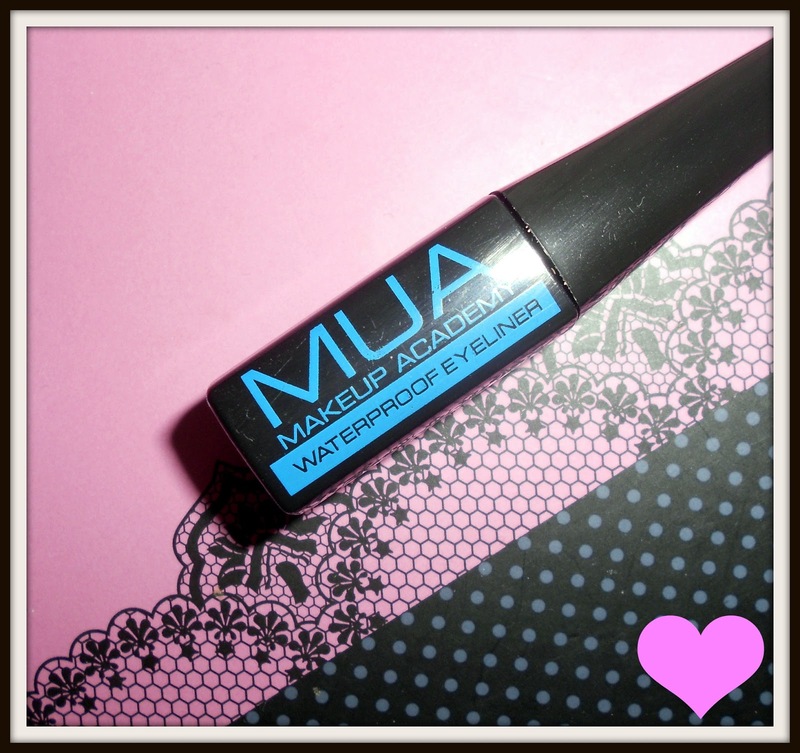 This eyeliner is not only waterproof, but stays on all day long - even on my oily eyelids (and without a base). Thumbs up for this product! You can get yours on the MUA website here. It looks pretty good, I should order this too!